Long-term users experience all listed previously plus bouts of chronic severe depression, confusion, hallucinations, convulsions, hyperreflexia, hypertension, rapid breathing a shortness of breath, heart palpitations, heart damage, increased anxiety, and significant impairment of focus. Level of purity or lack of chemical influence is irrelevant, because the physical and mental damage done by Mollie is just as dangerous as Ecstasy. Each time a person ingests MDMA, they are essentially self-inflicting brain damage upon themselves, as it destroys the neurons containing serotonin within the brain. It doesn’t matter how many times it is taken in a lifetime or the frequency of use, experimenting with MDMA is basically asking to permanently impair your cognitive development. The only way to repair such damage is to abstain from use, but it could take years for the brain to naturally repair damage done, even from one use. One fun night with Mollie can forever alter one’s brain chemistry, but there is hope. 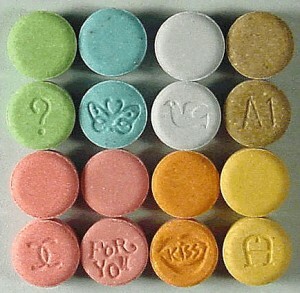 There are no specific treatments for MDMA abuse. The most effective treatments for drug abuse and addiction are cognitive behavioral interventions that are designed to help modify the patient’s thinking, expectancies, and behaviors, and to increase skills in coping with life’s stressors. There are currently no pharmacological treatments for dependence on MDMA. Clinical Hypnosis is a form of direct cognitive intervention. Based in the science of Neuroplasticity, which is the brain’s ability to rearrange it’s neurological structure and ultimately alters how the brain interprets and responds to thoughts and feelings, this process allows the brain to reinterpret how it receives and processes information, creating an avoidance response to destructive behavior and a pleasurable response to constructive behavior. Clinical hypnosis promotes positive cognitive development, in addition to decreasing the anxiety and depression that presents the urge for one to use again. Trying MDMA once may not be enough to kill you right away in most cases, but it’s enough to have adverse effects on daily functionality, as it stunts proper brain activity. If you or someone you know has been experimenting with Mollie or Ecstacy, it’s never too late to get them help. This entry was posted in addiction nyc, hypnosis nyc and tagged drug addiction, hypnosis and drug use, MDMA by Dr. Errol Gluck. Bookmark the permalink.